5 awesome free Joomla 2.5 shopping cart extensions - Pick one, sellers! Apparently, the more the Internet develops, the more new online shops are launched. I'm nearly a shopaholic and I like buying goods online for the convenience. But there are too many web shops, with the result that not all of those impress and attract customers like me. So what connects sellers with buyers effectively? The shopping cart is the answer. If you are a seller using Joomla, you will absolutely need a good shopping cart extension for your Joomla business website. You might wonder where you could find it. To help you, I have already made a list of 5 excellent well-known shopping cart extensions on Joomla Extensions Directory (JED). I also installed and tested all on my local host to make sure they run well. What else? All of them are free and ready for Joomla 2.5. Let's find out what these shopping cart extensions are. Easy to use: I can install it quickly and simply; also it has a dashboard for easily managing and configuring. Rich features: Some are necessary for shoppers such as discounts, coupons, media integration for each product. Multi-language and multi-currency support: Maybe I will have many customers from various countries, so this makes purchasing easier. Available documentation: It can help me to use, set up, and configure in the right way, and quickly. - A number of sections need to be configured. J2Store is a simple shopping cart application for Joomla 2.5. You can get your online shop running within a few minutes with J2 Store. J2 Store is based on the popular K2 Store, which adds the Shopping cart feature to K2. Simple, clean and good-looking, this is my favorite out of the 5 shopping carts. No need for too much complex configuration, no need for unnecessary options, everything is easy, fast and very user-friendly. With the possibility of also integrating with Article Manager, I spent about 30 seconds in creating a new product, which really impressed me. J2Store is surely a nice and easy-going assistant for beginners in business. Payment options except offline payment, however, are not available in the package, you have to download payment plugins separately. J2 Store is a "rookie" in this field and still in the beta version, so it shouldn't be used for production purposes now. However, because of its easy-to-use functionalities, I believe that J2 Store will be a promising extension in the future. Another option named JoomShopping is really not bad. JoomShopping is an Open Source E-Commerce solution which offers a lot of features. It is written in PHP and can be used in typical PHP/MySQL environments. With more than 200,000 Joomshopping users now, this free Joomla 2.5 extension is a reliable extension for guys who love business. Some features like product ratings and testimonials are worth considering. You could assign products Hot, New or Sale. That's great! Besides, it can be used for different products including music files or videos. The administrator and menus are easy to understand and configure as well. Nevertheless, the price you have to pay for support and removing the copyright is not cheap: 199 Euros. It also supports less payment methods, currently only 3 methods. HikaShop is a Joomla Extension released in 3 different editions: HikaShop Starter, HikaShop Essential and HikaShop Business. HikaShop Starter has cool marketing tools such as coupons, discounts. Also, it provides advanced taxes, zones, languages and currencies management for worldwide sales as well as advanced customization capabilities of your online shop in order to meet your website needs. What's hot? Hikashop Starter supports RSS and Social networks for products, so your products can be shared and spread more on Facebook, Twitter, Google+. Wow, it is a good promotion, isn't it? It is easy to configure and manage Hikashop Starter with the powerful and well-organized dashboard. You know, this free Joomla 2.5 extension is highly recommended by many web-shoppers and developers. VirtueMart is the leading Online-Shop Solution for Joomla with more than 2 million downloads so far. From the first version to the latest version 2.0, the developer has shown a great improvement in designing VirtueMart's interface. Now it looks more stylish and good-looking. VirtueMart gives flexible models of Tax that you can choose: ShipTo Address-based Tax Calculation; Store Address-based Tax Calculation and EU Mode (Store Owner based Tax Calculation when the Customer comes from an EU Country). Another great feature is that it is possible to download products for virtual goods. Although VirtueMart has many options, supports subcategories and CVS import, I think that it is hardly suitable for beginners like me. Somehow, I feel that the interface for VirtueMart's configuration isn't well-organized and I'm confused a bit at first glance. Also, if you are not clear about the Joomla framework, it's really annoying and quite difficult, in my opinion. If you are building an online shopping website for your small business, then you should consider RedSHOP. RedSHOP is the web shop solution for Joomla - The powerful Open Source CMS with 20 million downloads to date. RedSHOP offers simple shop administration as well as very advanced management capabilities. Additionally, RedSHOP allows you to have different prices and products for different types of customer, especially distributors and other outlets. You can even assign a template for each product or categories with many flexible different templates from this component. There are many more outstanding features which you can exploit to build an attractive web shop. On the other hand, I think this free Joomla 2.5 extension will be hard for non-technical shop owners to set up and use. I have recently introduced you to the 5 best free shopping cart extensions for Joomla 2.5. Even though all have PROs and CONs, they are excellent options for online shoppers. Just take one, use it and tell us about your experience by leave your comments right here! We are really curious about that. 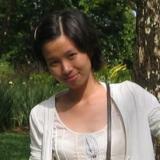 As a copywriter at www.joomlashine.com, I write blog posts about Joomla and related things. I always want to know and learn more about new things, especially Joomla, and I love to share my knowledge to everybody. Wednesday, 17 October 2012 Start building your business website with Joomla 2.5 - Why not? Friday, 05 October 2012 Are you ready to learn Joomla from Zero to Expert with OSTraining? Friday, 07 September 2012 Joomla Day 2012 in Germany - Come to meet and talk! Tuesday, 28 August 2012 Joomla blog - What do you need to have a good one?